RStudio provides the premiere open source and enterprise-ready professional software for data scientists moving to R from less flexible, proprietary, and expensive analytic platforms. Shiny, ggvis, dplyr, knitr, R Markdown, and packrat are R packages from RStudio that every data scientist will want to enhance the value, reproducibility, and appearance of their work. This talk will cover tools and best practices for importing data into R. We will cover importing data from files like csv, excel and sas; to databases and Spark data frames. Only 1,000 live attendees are allowed in the Webinar on a first come first serve basis. It is typical for many people who register to not attend (which is why registration does not guarantee access.) If for any reason you cannot make the webinar or cannot get in we will provide links to the recording as well as all materials within 48 hours. Our webinar host, GoToWebinar, Now Supports Linux but ONLY for VIDEO. You must dial in by Telephone to the conference for access to the audio. If for any reason you cannot make the webinar or cannot get in we will provide links to the recording as well as all materials within 48 hours. Javier Luraschi, Software Engineer- Javier is a Software Engineer with experience in technologies ranging from desktop, web, mobile and backend; to augmented reality and deep learning applications. 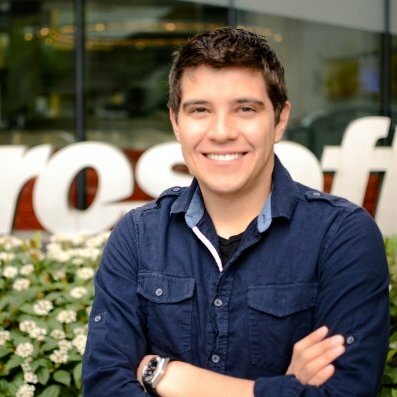 He previously worked for Microsoft Research and SAP and holds a double degree in Mathematics and Software Engineering. Approximately 45 minutes of presentation followed by 15 Minutes of Q&A.